My presence here, on this tribune, should be an argument for all those who praise life’s God-given, marvelously complex, unpredictability. In my school years I used to read volumes of a series then published in Poland – “The Library of the Nobel Laureates”. I remember the shape of the letters and the color of the paper. 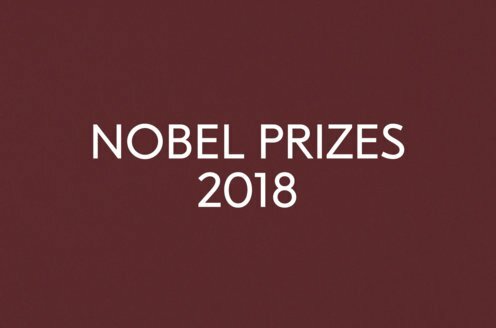 I imagined then that the Nobel laureates were writers, namely persons who write thick works in prose, and even when I learned that there were also poets among them, for a long time I could not get rid of that notion. And certainly, when, in 1930, I published my first poems in our university review, Alma Mater Vilnensis, I did not aspire to the title of a writer. Also much later, by choosing solitude and giving myself to a strange occupation, that is, to writing poems in Polish while living in France or America, I tried to maintain a certain ideal image of a poet, who, if he wants fame, he wants to be famous only in the village or the town of his birth. One of the Nobel laureates whom I read in childhood influenced to a large extent, I believe, my notions of poetry. That was Selma Lagerlöf. Her Wonderful Adventures of Nils, a book I loved, places the hero in a double role. He is the one who flies above the Earth and looks at it from above but at the same time sees it in every detail. This double vision may be a metaphor of the poet’s vocation. I found a similar metaphor in a Latin ode of a Seventeenth-Century poet, Maciej Sarbiewski, who was once known all over Europe under the pen-name of Casimire. He taught poetics at my university. In that ode he describes his voyage – on the back of Pegasus – from Vilno to Antwerp, where he is going to visit his poet-friends. Like Nils Holgersson he beholds under him rivers, lakes, forests, that is, a map, both distant and yet concrete. Hence, two attributes of the poet: avidity of the eye and the desire to describe that which he sees. Yet, whoever considers poetry as “to see and to describe” should be aware that he engages in a quarrel with modernity, fascinated as it is with innumerable theories of a specific poetic language. Every poet depends upon generations who wrote in his native tongue; he inherits styles and forms elaborated by those who lived before him. At the same time, though, he feels that those old means of expression are not adequate to his own experience. When adapting himself, he hears an internal voice that warns him against mask and disguise. But when rebelling, he falls in turn into dependence upon his contemporaries, various movements of the avant-garde. Alas, it is enough for him to publish his first volume of poems, to find himself entrapped. For hardly has the print dried, when that work, which seemed to him the most personal, appears to be enmeshed in the style of another. The only way to counter an obscure remorse is to continue searching and to publish a new book, but then everything repeats itself, so there is no end to that chase. And it may happen that leaving books behind as if they were dry snake skins, in a constant escape forward from what has been done in the past, he receives the Nobel Prize. What is this enigmatic impulse that does not allow one to settle down in the achieved, the finished? I think it is a quest for reality. I give to this word its naive and solemn meaning, a meaning having nothing to do with philosophical debates of the last few centuries. It is the Earth as seen by Nils from the back of the gander and by the author of the Latin ode from the back of Pegasus. Undoubtedly, that Earth is and her riches cannot be exhausted by any description. To make such an assertion means to reject in advance a question we often hear today: “What is reality?”, for it is the same as the question of Pontius Pilate: “What is truth?” If among pairs of opposites which we use every day, the opposition of life and death has such an importance, no less importance should be ascribed to the oppositions of truth and falsehood, of reality and illusion. Simone Weil, to whose writings I am profoundly indebted, says: “Distance is the soul of beauty.” Yet sometimes keeping distance is nearly impossible. I am A Child of Europe, as the title of one of the my poems admits, but that is a bitter, sarcastic admission. I am also the author of an autobiographical book which in the French translation bears the title Une autre Europe. Undoubtedly, there exist two Europes and it happens that we, inhabitants of the second one, were destined to descend into “the heart of darkness of the Twentieth Century.” I wouldn’t know how to speak about poetry in general. I must speak of poetry in its encounter with peculiar circumstances of time and place. Today, from a perspective, we are able to distinguish outlines of the events which by their death-bearing range surpassed all natural disasters known to us, but poetry, mine and my contemporaries’, whether of inherited or avant-garde style, was not prepared to cope with those catastrophes. Like blind men we groped our way and were exposed to all the temptations the mind deluded itself with in our time. It is not easy to distinguish reality from illusion, especially when one lives in a period of the great upheaval that begun a couple of centuries ago on a small western peninsula of the Euro-Asiatic continent, only to encompass the whole planet during one man’s lifetime with the uniform worship of science and technology. And it was particularly difficult to oppose multiple intellectual temptations in those areas of Europe where degenerate ideas of dominion over men, akin to the ideas of dominion over Nature, led to paroxysms of revolution and war at the expense of millions of human beings destroyed physically or spiritually. And yet perhaps our most precious acquisition is not an understanding of those ideas, which we touched in their most tangible shape, but respect and gratitude for certain things which protect people from internal disintegration and from yielding to tyranny. Precisely for that reason some ways of life, some institutions became a target for the fury of evil forces, above all, the bonds between people that exist organically, as if by themselves, sustained by family, religion, neighborhood, common heritage. In other words, all that disorderly, illogical humanity, so often branded as ridiculous because of its parochial attachments and loyalties. In many countries traditional bonds of civitas have been subject to a gradual erosion and their inhabitants become disinherited without realizing it. It is not the same, however, in those areas where suddenly, in a situation of utter peril, a protective, life-giving value of such bonds reveals itself. That is the case of my native land. And I feel this is a proper place to mention gifts received by myself and by my friends in our part of Europe and to pronounce words of blessing. It is good to be born in a small country where Nature was on a human scale, where various languages and religions cohabited for centuries. I have in mind Lithuania, a country of myths and of poetry. My family already in the Sixteenth Century spoke Polish, just as many families in Finland spoke Swedish and in Ireland – English; so I am a Polish, not a Lithuanian, poet. But the landscapes and perhaps the spirits of Lithuania have never abandoned me. It is good in childhood to hear words of Latin liturgy, to translate Ovid in high school, to receive a good training in Roman Catholic dogmatics and apologetics. It is a blessing if one receives from fate school and university studies in such a city as Vilno. A bizarre city of baroque architecture transplanted to northern forests and of history fixed in every stone, a city of forty Roman Catholic churches and of numerous synagogues. In those days the Jews called it a Jerusalem of the North. Only when teaching in America did I fully realize how much I had absorbed from the thick walls of our ancient university, from formulas of Roman law learned by heart, from history and literature of old Poland, both of which surprise young Americans by their specific features: an indulgent anarchy, a humor disarming fierce quarrels, a sense of organic community, a mistrust of any centralized authority. A poet who grew up in such a world should have been a seeker for reality through contemplation. A patriarchal order should have been dear to him, a sound of bells, an isolation from pressures and the persistent demands of his fellow men, silence of a cloister cell. If books were to linger on a table, then they should be those which deal with the most incomprehensible quality of God-created things, namely being, the esse. But suddenly all this is negated by demoniac doings of History which acquires the traits of a bloodthirsty Deity. The Earth which the poet viewed in his flight calls with a cry, indeed, out of the abyss and doesn’t allow itself to be viewed from above. An insoluble contradiction appears, a terribly real one, giving no peace of mind either day or night, whatever we call it, it is the contradiction between being and action, or, on another level, a contradiction between art and solidarity with one’s fellow men. Reality calls for a name, for words, but it is unbearable and if it is touched, if it draws very close, the poet’s mouth cannot even utter a complaint of Job: all art proves to be nothing compared with action. Yet, to embrace reality in such a manner that it is preserved in all its old tangle of good and evil, of despair and hope, is possible only thanks to a distance, only by soaring above it – but this in turn seems then a moral treason. Such was the contradiction at the very core of conflicts engendered by the Twentieth Century and discovered by poets of an Earth polluted by the crime of genocide. What are the thoughts of one of them, who wrote a certain number of poems which remain as a memorial, as a testimony? He thinks that they were born out of a painful contradiction and that he would prefer to have been able to resolve it while leaving them unwritten. A patron saint of all poets in exile, who visit their towns and provinces only in remembrance, is always Dante. But how has the number of Florences increased! The exile of a poet is today a simple function of a relatively recent discovery: that whoever wields power is also able to control language and not only with the prohibitions of censorship, but also by changing the meaning of words. A peculiar phenomenon makes its appearance: the language of a captive community acquires certain durable habits; whole zones of reality cease to exist simply because they have no name. There is, it seems, a hidden link between theories of literature as Écriture, of speech feeding on itself, and the growth of the totalitarian state. In any case, there is no reason why the state should not tolerate an activity that consists of creating «experimental» poems and prose, if these are conceived as autonomous systems of reference, enclosed within their own boundaries. Only if we assume that a poet constantly strives to liberate himself from borrowed styles in search for reality, is he dangerous. In a room where people unanimously maintain a conspiracy of silence, one word of truth sounds like a pistol shot. And, alas, a temptation to pronounce it, similar to an acute itching, becomes an obsession which doesn’t allow one to think of anything else. That is why a poet chooses internal or external exile. It is not certain, however, that he is motivated exclusively by his concern with actuality. He may also desire to free himself from it and elsewhere, in other countries, on other shores, to recover, at least for short moments, his true vocation – which is to contemplate Being. That hope is illusory, for those who come from the “other Europe”, wherever they find themselves, notice to what extent their experiences isolate them from their new milieu – and this may become the source of a new obsession. Our planet that gets smaller every year, with its fantastic proliferation of mass media, is witnessing a process that escapes definition, characterized by a refusal to remember. Certainly, the illiterates of past centuries, then an enormous majority of mankind, knew little of the history of their respective countries and of their civilization. In the minds of modern illiterates, however, who know how to read and write and even teach in schools and at universities, history is present but blurred, in a state of strange confusion; Molière becomes a contemporary of Napoleon, Voltaire, a contemporary of Lenin. Also, events of the last decades, of such primary importance that knowledge or ignorance of them will be decisive for the future of mankind, move away, grow pale, lose all consistency as if Frederic Nietzsche’s prediction of European nihilism found a literal fulfillment. “The eye of a nihilist” – he wrote in 1887 – “is unfaithful to his memories: it allows them to drop, to lose their leaves;… And what he does not do for himself, he also does not do for the whole past of mankind: he lets it drop”. We are surrounded today by fictions about the past, contrary to common sense and to an elementary perception of good and evil. As “The Los Angeles Times” recently stated, the number of books in various languages which deny that the Holocaust ever took place, that it was invented by Jewish propaganda, has exceeded one hundred. If such an insanity is possible, is a complete loss of memory as a permanent state of mind improbable? And would it not present a danger more grave than genetic engineering or poisoning of the natural environment? For the poet of the “other Europe” the events embraced by the name of the Holocaust are a reality, so close in time that he cannot hope to liberate himself from their remembrance unless, perhaps, by translating the Psalms of David. He feels anxiety, though, when the meaning of the word Holocaust undergoes gradual modifications, so that the word begins to belong to the history of the Jews exclusively, as if among the victims there were not also millions of Poles, Russians, Ukrainians and prisoners of other nationalities. He feels anxiety, for he senses in this a foreboding of a not distant future when history will be reduced to what appears on television, while the truth, as it is too complicated, will be buried in the archives, if not totally annihilated. Other facts as well, facts for him quite close but distant for the West, add in his mind to the credibility of H. G. Wells’ vision in The Time Machine: the Earth inhabited by a tribe of children of the day, carefree, deprived of memory and, by the same token, of history, without defense when confronted with dwellers of subterranean caves, cannibalistic children of the night. Carried forward, as we are, by the movement of technological change, we realize that the unification of our planet is in the making and we attach importance to the notion of international community. The days when the League of Nations and the United Nations were founded deserve to be remembered. Unfortunately, those dates lose their significance in comparison with another date which should be invoked every year as a day of mourning, while it is hardly known to younger generations. It is the date of 23 August 1939. Two dictators then concluded an agreement provided with a secret clause by the virtue of which they divided between themselves neighboring countries possessing their own capitals, governments and parliaments. That pact not only unleashed a terrible war; it re-established a colonial principle, according to which nations are not more than cattle, bought, sold, completely dependent upon the will of their instant masters. Their borders, their right to self-determination, their passports ceased to exist. And it should be a source of wonder that today people speak in a whisper, with a finger to their lips, about how that principle was applied by the dictators forty years ago. Crimes against human rights, never confessed and never publicly denounced, are a poison which destroys the possibility of a friendship between nations. Anthologies of Polish poetry publish poems of my late friends – Wladyslaw Sebyla and Lech Piwowar, and give the date of their deaths: 1940. It is absurd not to be able to write how they perished, though everybody in Poland knows the truth: they shared the fate of several thousand Polish officers disarmed and interned by the then accomplices of Hitler, and they repose in a mass grave. And should not the young generations of the West, if they study history at all, hear about the 200,000 people killed in 1944 in Warsaw, a city sentenced to annihilation by those two accomplices? The two genocidal dictators are no more and yet, who knows whether they did not gain a victory more durable than those of their armies. In spite of the Atlantic Charter, the principle that nations are objects of trade, if not chips in games of cards or dice, has been confirmed by the division of Europe into two zones. The absence of the three Baltic states from the United Nations is a permanent reminder of the two dictators’ legacy. Before the war those states belonged to the League of Nations but they disappeared from the map of Europe as a result of the secret clause in the agreement of 1939. I hope you forgive my laying bare a memory like a wound. This subject is not unconnected with my meditation on the word “reality”, so often misused but always deserving esteem. Complaints of peoples, pacts more treacherous than those we read about in Thucydides, the shape of a maple leaf, sunrises and sunsets over the ocean, the whole fabric of causes and effects, whether we call it Nature or History, points towards, I believe, another hidden reality, impenetrable, though exerting a powerful attraction that is the central driving force of all art and science. There are moments when it seems to me that I decipher the meaning of afflictions which befell the nations of the “other Europe” and that meaning is to make them the bearers of memory – at the time when Europe, without an adjective, and America possess it less and less with every generation. It is possible that there is no other memory than the memory of wounds. At least we are so taught by the Bible, a book of the tribulations of Israel. That book for a long time enabled European nations to preserve a sense of continuity – a word not to be mistaken for the fashionable term, historicity. During the thirty years I have spent abroad I have felt I was more privileged than my Western colleagues, whether writers or teachers of literature, for events both recent and long past took in my mind a sharply delineated, precise form. Western audiences confronted with poems or novels written in Poland, Czechoslovakia or Hungary, or with films produced there, possibly intuit a similarly sharpened consciousness, in a constant struggle against limitations imposed by censorship. Memory thus is our force, it protects us against a speech entwining upon itself like the ivy when it does not find a support on a tree or a wall. A few minutes ago I expressed my longing for the end of a contradiction which opposes the poet’s need of distance to his feeling of solidarity with his fellow men. And yet, if we take a flight above the Earth as a metaphor of the poet’s vocation, it is not difficult to notice that a kind of contradiction is implied, even in those epochs when the poet is relatively free from the snares of History. For how to be above and simultaneously to see the Earth in every detail? And yet, in a precarious balance of opposites, a certain equilibrium can be achieved thanks to a distance introduced by the flow of time. “To see” means not only to have before one’s eyes. It may mean also to preserve in memory. “To see and to describe” may also mean to reconstruct in imagination. A distance achieved, thanks to the mystery of time, must not change events, landscapes, human figures into a tangle of shadows growing paler and paler. On the contrary, it can show them in full light, so that every event, every date becomes expressive and persists as an eternal reminder of human depravity and human greatness. Those who are alive receive a mandate from those who are silent forever. They can fulfill their duties only by trying to reconstruct precisely things as they were, and by wresting the past from fictions and legends. Thus both – the Earth seen from above in an eternal now and the Earth that endures in a recovered time – may serve as material for poetry. I would not like to create the impression that my mind is turned toward the past, for that would not be true. Like all my contemporaries I have felt the pull of despair, of impending doom, and reproached myself for succumbing to a nihilistic temptation. Yet on a deeper level, I believe, my poetry remained sane and, in a dark age, expressed a longing for the Kingdom of Peace and Justice. The name of a man who taught me not to despair should be invoked here. We receive gifts not only from our native land, its lakes and rivers, its traditions, but also from people, especially if we meet a powerful personality in our early youth. It was my good fortune to be treated nearly as a son by my relative Oscar Milosz, a Parisian recluse and a visionary. Why he was a French poet, could be elucidated by the intricate story of a family as well as of a country once called the Grand Duchy of Lithuania. Be that as it may, it was possible to read recently in the Parisian press words of regret that the highest international distinction had not been awarded half a century earlier to a poet bearing the same family name as my own. I learned much from him. He gave me a deeper insight into the religion of the Old and New Testament and inculcated a need for a strict, ascetic hierarchy in all matters of mind, including everything that pertains to art, where as a major sin he considered putting the second-rate on the same level with the first-rate. Primarily, though, I listened to him as a prophet who loved people, as he says, “with old love worn out by pity, loneliness and anger” and for that reason tried to address a warning to a crazy world rushing towards a catastrophe. That a catastrophe was imminent, I heard from him, but also I heard from him that the great conflagration he predicted would be merely a part of a larger drama to be played to the end. He saw deeper causes in an erroneous direction taken by science in the Eighteenth Century, a direction which provoked landslide effects. Not unlike William Blake before him, he announced a New Age, a second renaissance of imagination now polluted by a certain type of scientific knowledge, but, as he believed, not by all scientific knowledge, least of all by science that would be discovered by men of the future. And it does not matter to what extent I took his predictions literally: a general orientation was enough. Oscar Milosz, like William Blake, drew inspirations from the writings of Emanuel Swedenborg, a scientist who, earlier than anyone else, foresaw the defeat of man, hidden in the Newtonian model of the Universe. When, thanks to my relative, I became an attentive reader of Swedenborg, interpreting him not, it is true, as was common in the Romantic era, I did not imagine I would visit his country for the first time on such an occasion as the present one. Our century draws to its close, and largely thanks to those influences I would not dare to curse it, for it has also been a century of faith and hope. A profound transformation, of which we are hardly aware, because we are a part of it, has been taking place, coming to the surface from time to time in phenomena that provoke general astonishment. That transformation has to do, and I use here words of Oscar Milosz, with “the deepest secret of toiling masses, more than ever alive, vibrant and tormented”. Their secret, an unavowed need of true values, finds no language to express itself and here not only the mass media but also intellectuals bear a heavy responsibility. But transformation has been going on, defying short term predictions, and it is probable that in spite of all horrors and perils, our time will be judged as a necessary phase of travail before mankind ascends to a new awareness. Then a new hierarchy of merits will emerge, and I am convinced that Simone Weil and Oscar Milosz, writers in whose school I obediently studied, will receive their due. I feel we should publicly confess our attachment to certain names because in that way we define our position more forcefully than by pronouncing the names of those to whom we would like to address a violent “no”. My hope is that in this lecture, in spite of my meandering thought, which is a professional bad habit of poets, my “yes” and “no” are clearly stated, at least as to the choice of succession. For we all who are here, both the speaker and you who listen, are no more than links between the past and the future.